We're delighted to reveal that our blog has been named in Inside History magazine's Top 50 Blogs for 2014. The Top 50 takes a look at some of the best blogs by Australian and New Zealand institutions, organisations, genealogists and historical societies. We're honoured to make the list for the second time, having also appeared in the inaugural Top 50 in 2012. 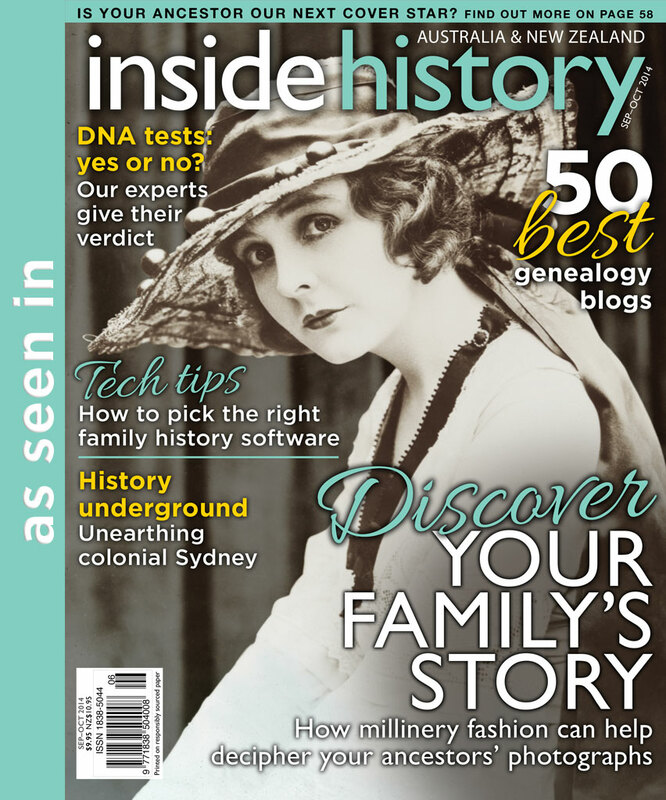 For the full list of Top 50 Blogs, check out the Sep-Oct 2014 edition of Inside History. Hard copies of the magazine can be purchased from newsagents and online or in digital format from Zinio and on the Apple App store. Congrats! Great to see you made the list! Inside have promised a badge for the listed blogs. You have prompted me to remind them. Hi Jill, thanks for the great Top 50 and for our inclusion in the list! Inside History have sent us the badge, which we presently have displayed further below.